The Authority is divided into three (3) Administrative divisions for purposes of management. The Directorates are 17 in all. 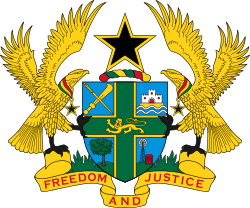 Educating all residents of Ghana and Ghanaians abroad on the NHIS to secure their understanding and acceptance. Ensuring the best of relations between the Authority, Schemes and the Media. Ensuring the best of relations between the Authority, Schemes and other institutions such as Service Providers, Members of the Schemes and the general public. Planning and executing effective Marketing and Publicity programmes to build the Corporate image of the NHIS into an acceptable brand. Receiving feedback from the public and responding to suggestions and complaints from members of the public on the operations of the schemes and service providers. Organizing public functions of the Authority and arranging for officials of the Authority and the Schemes to attend such functions. Securing protocol and other needs of Authority staff such as passports, visas and making travel arrangements. Procuring and disseminating information, education and communication materials such as diaries, calendars and magazines. Maintenance of an audit recommendations follow-up system. Special investigations into particular areas, for example fraud. Supervise, co-ordinate and monitor the activities of health insurance schemes. Provide support to service providers to render quality services at all times. Enforce utilization and cost control measures at the scheme level. Collaborate with relevant stakeholders to achieve the co-operate objectives of the council. Facilitate the scaling up of membership registration. Lead the review of tariff structure. Lead the review of National Health Insurance drug formulary. Conduct research in areas that enhance the implementation of NHIS policy e.g. defining quality health care, determining socio-economic status accurately, sustainability of Health Insurance cost-containment mechanisms. Coordinate research being done across the country especially in the area of health finance and act as the first port of call for all such research. Collaborate with development partners and coordinate their efforts in accordance with the SWAP approach.